Your future is now!...Seeing you flourish, becoming the best version of yourself, having a greater understanding and appreciation of what your true strengths are is our sole purpose. We aim to help you build the foundation necessary to excel and live a well-balanced life, filled with health and wellness. Our motto, ‘Be Yourself, Better Yourself, Believe in Yourself’, is not just a saying, it is a lifestyle. We believe it is the key to success, knowledge, health, wellness and inner peace. 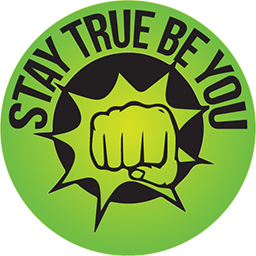 Stay True Be You aspires to motivate and inspire individuals to follow their dreams and stay true to who they are. May it be, short-term, long-term, personal, professional, home, school or work related; as your coach or mentor, we endeavour to support you, and give you the necessary skills to attain your goals and the ability to take on the challenges life presents you with confidently. What Makes Moustie's Style Of Coaching So Different? I feel like my life experiences of depression, bullying, anxiety, discrimination, racial vilification and challenges growing up with Cerebral Palsy makes me relatable to a wide variety of people and has instilled me with a wealth of knowledge that can't be bought or taught through your typical course. You see in life, our experiences are our biggest teacher and the biggest mistake one can make is not realising that life is one difficult exam with a different question paper for everyone, thereby copying others more often than not leads to failure. I look forward to seeing you flourish and empowering you towards becoming the best version of yourself. The version of yourself you want, deserve and ought to be, not the version other people tell you to be. Looking for a coach or mentor? Stay True Be You values you! We’ll be taking on new clients from 2019 onward. Interested…Want to know more about Moustie and how we can help you. Feel free to inquire within for your first free consultation, lodge your interest or contact us directly at talks@staytruebeyou.com.au or on +61 451 515 467 for more information.